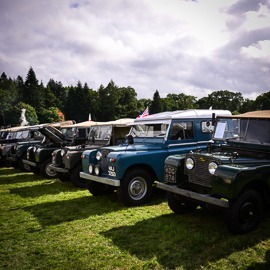 The Forest Landy group has a stand at Malvern Landrover Show, Speech House Vintage Show and Coleford Carnival of Transport, and attends others including Gaydon and Peterbourgh. The group organises green laning trips, local to the Forest and further away. 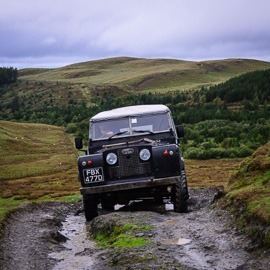 Most trips are suitable for a swb land rover with mud terrain tyres, some trips can be damaging to paintwork, occasional trips for shiney vehicles are also arranged. We also organise and attend road runs, tresure hunts, trials and pay and play days. 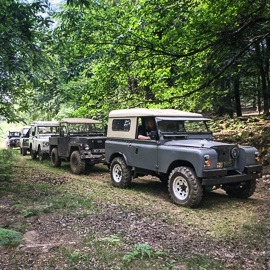 The Forest Land Rover Group is a club for everyone with an interest in Land Rover vehicles from the Forest of Dean and surrounding area. The club hosts monthly meetings, attends shows and events, and organises green laning trips. If you are intersted in finding out more, come along to a monthly meeting at the White Hart Inn, Cinderford, on the third wednesday of every month.